Nags Head Cottage is our cosy former 150 year old coach house set in the beautiful backdrop of the Forest of Dean. Nestled in the heart of the forest, with easy access for walking, cycling, and even kayaking. 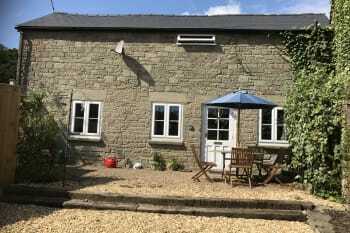 The cottage is situated in a small hamlet, Parkend, walking distance to all amenities. Dogs and muddy cyclists are welcome! The cottage backs onto the cycle trail. It is great for serious MTB and downhill riding as well as leisure cyclists. The cottage is a good size suitable for up to 6 guests. There is a double bed in the master bedroom and two singles in the second bedroom. There is room for a cot bed or cot in both rooms - both available to hire along with stair gates and high chair. There is a very comfortable metal action double sofa bed in the lounge. linen is not provided. A landline telephone and free wifi are all provided. There are no rooms available at Nags Head Cottage for these dates. 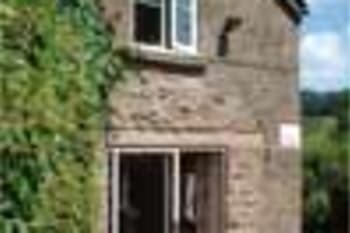 Very well equipped, centrally located cottage ideal for walkers and cyclist. Perfect location for nature lovers and animal lovers - able to take 2 big dogs on several different walks directly from the cottage. Nearby pubs - good wood and drink. Perfect location for dog walking. Beautiful cottage, so warm & cosy. Very relaxing. Wifi & Netflix a bonus as we had 2 teenage girls with us. Located only 3 miles from the cycle centre at Cannop Chase, it's an easy pedal to the all weather trails. The cottage is a stones throw from the Woodman Inn which serves delicious food, though booking is advisable! The cottage is snug and ticked all the boxes, there are lots of things to do locally and we all had a whale of a time. Debbie and Simon are so helpful and there are lots of thoughtful details around the cottage to help make a few days away into a home from home. Can't speak highly enough of this cottage, absolutely perfect everything you could want for a great getaway. The cottage is so homely and was spotless. It's very comfortable and set in a beautiful location. Deborah and Simon made sure our stay was just what we needed. 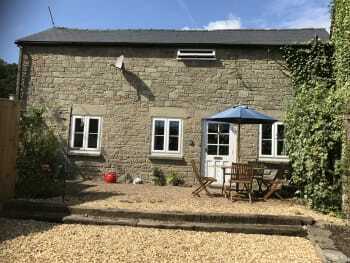 The cottage is within minutes of stunning scenery and the village has dog friendly pubs one of which is right next door with a completely enclosed garden so children and dogs are safe. The pub also offers amazing food at reasonable prices. Very popular for bike riding and walking. We will definitely be back! Brilliant stay, amazing cottage, like a home from home, very clean and well stocked with everything you need to make your stay enjoyable, fantastic walks, cycle rides right on the doorstep, will be going again, highly recommended. Great location in the forest, with good shop, cafe and friendly locals. The cottage is very cosy and clean, with some well thought out features. Simon and Debbie were very friendly and approachable, definitely recommend Nags Head Cottage.